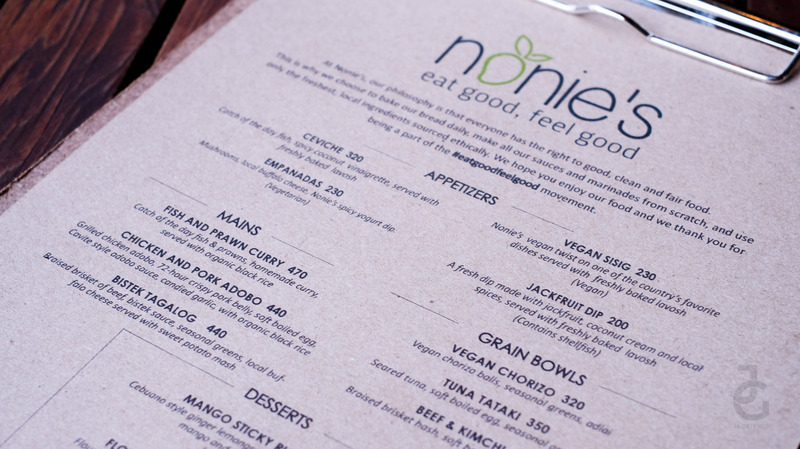 We were in Boracay during the sembreak of last year but hadn’t had a chance to try out Nonie’s. 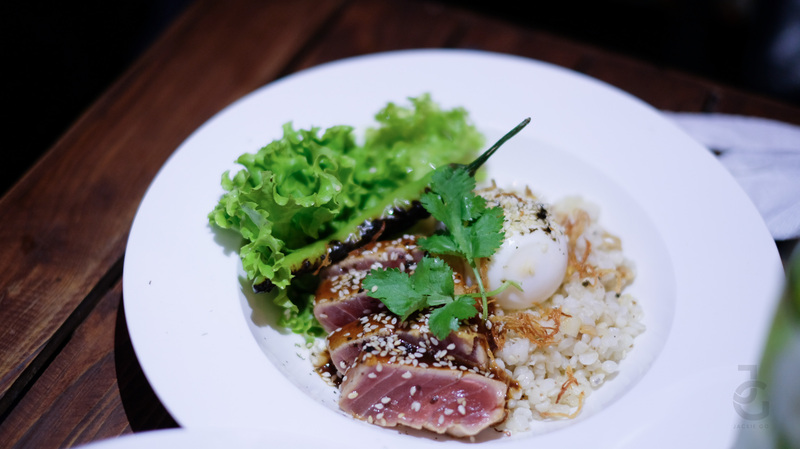 Thankfully they had a pop up a few weekends ago at Cu Chi in Poblacion so I took advantage and checked them out. 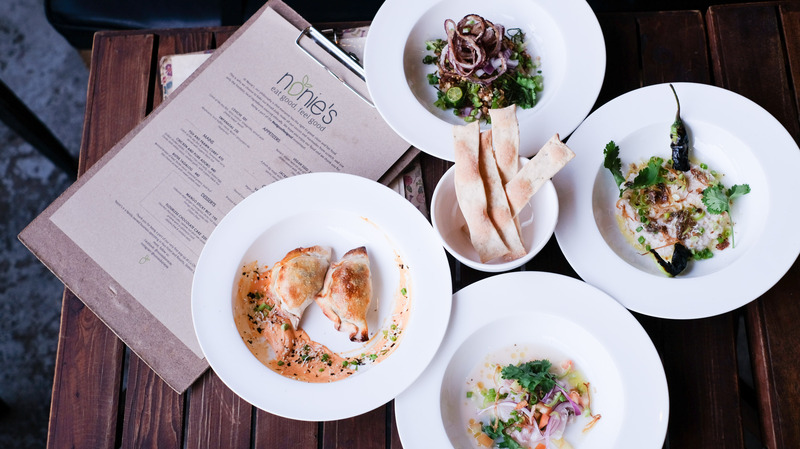 At Nonie’s, our philosophy is that everyone has the right to good, clean, and fair food. This is why we choose to bake our bread daily, make all our sauces and marinades from scratch, and use only the freshest, local ingredients sourced ethically. #eatgoodfeelgood movement. We only had sample sizes since we tried almost everything on their pop up menu. mushrooms, local buffalo cheese, Nonie’s spicy yogurt dip. 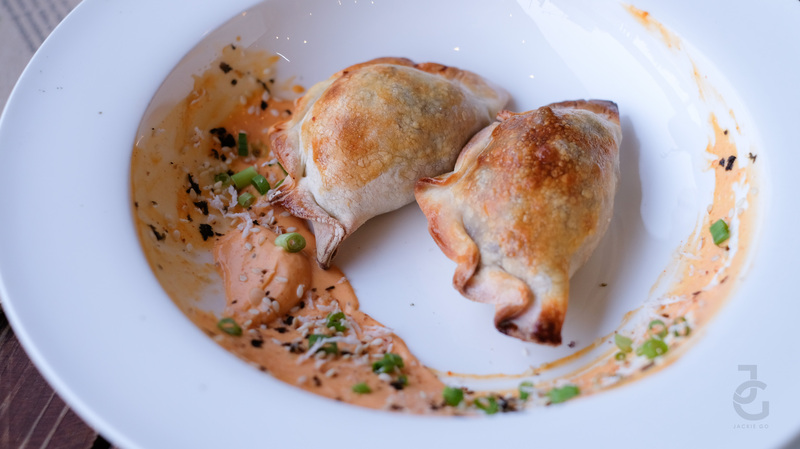 I’m partial to mushrooms and these empanadas were delish. fresh dip made with jackfruit, coconut cream and local spices, served with freshly baked lavosh. I’m not fan of jackfruit but this was surprisingly good. 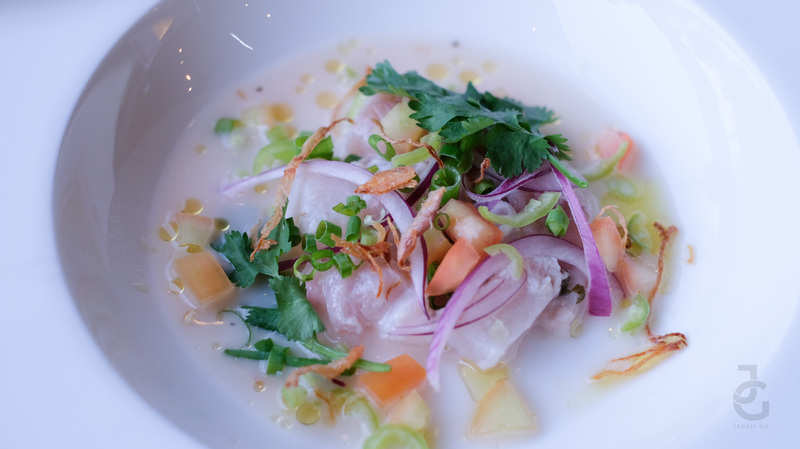 Ceviche aka Kilawin is marinated raw fish usually good eaten with a bottle of beer. Not that I drink beer. 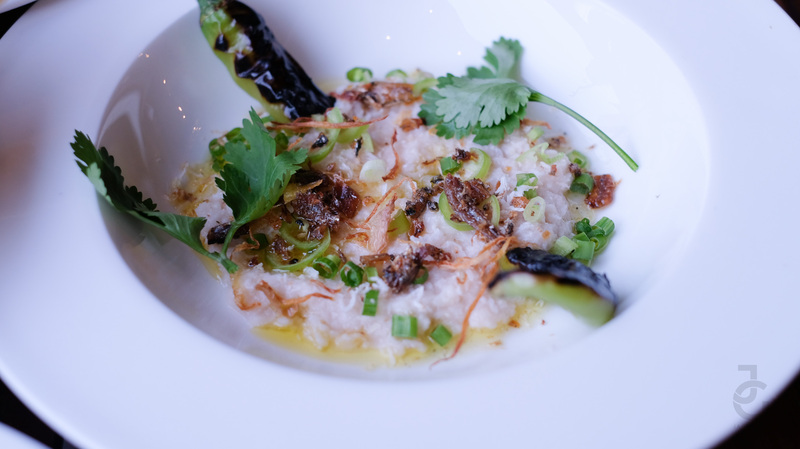 I like how the vinaigrette isn’t tangy that it overpowers the freshness of the fish. You wouldn’t know this is vegan until someone tells you it is. 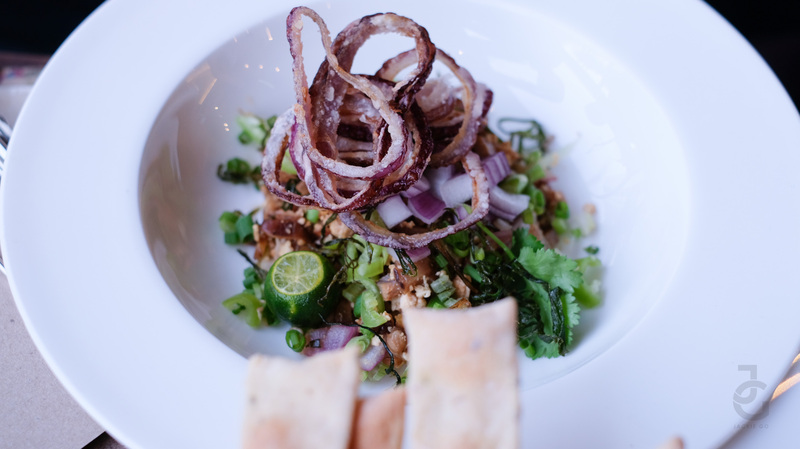 It’s as good as the original sisig, maybe even better. Loved all the appetizers for each one’s tasty and filling but if I were to pick something uniquely Nonie’s I’d go for Jackfruit Dip. My personal fave is the Empanada while Mr. JG enjoyed the Vegan Sisig. 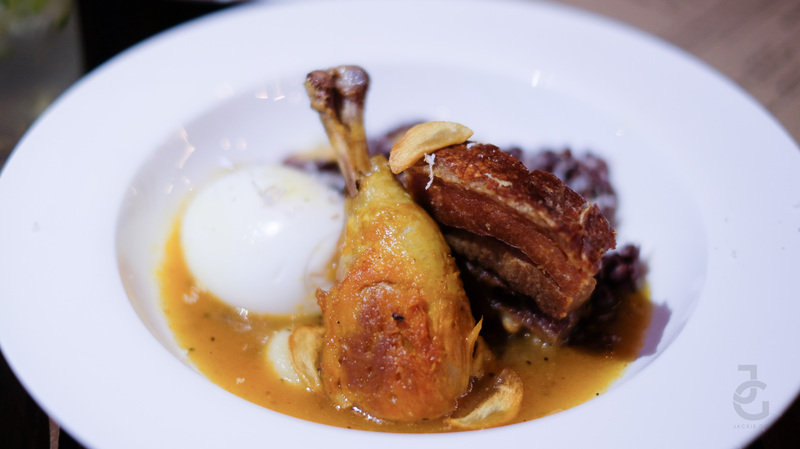 A different take on the usual adobo. The sweet & salty sauce compliments the grilled chicken & crispy pork belly well. 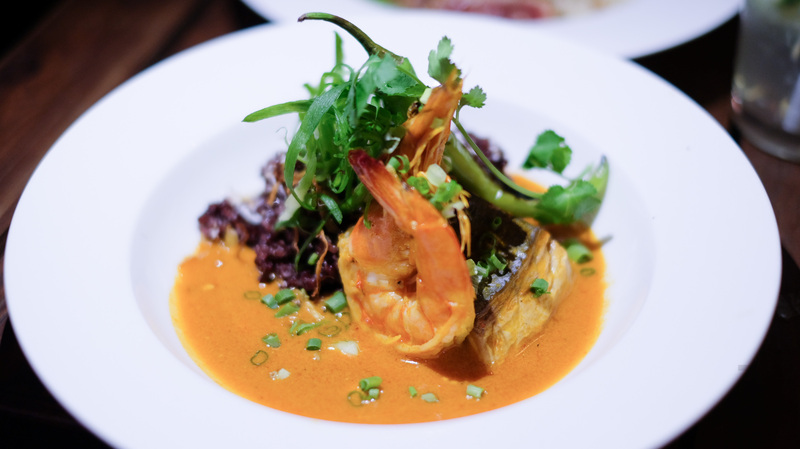 The light curry sauce that worked well with the fish & prawn. I like tuna so this was something I was excited to try. I find this dish light yet filling. 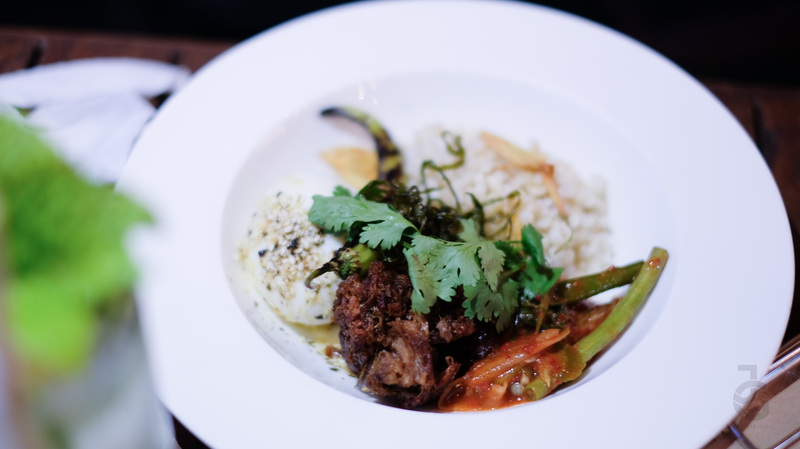 This grain bowl is a dish I’d order again. Beef is one of my weakness (brisket and steak to be exact) so this was something I truly enjoyed. Pretty much mixed everything on the plate and shoved it in my mouth. Yum. Mr. JG all smiles because he enjoyed dinner! 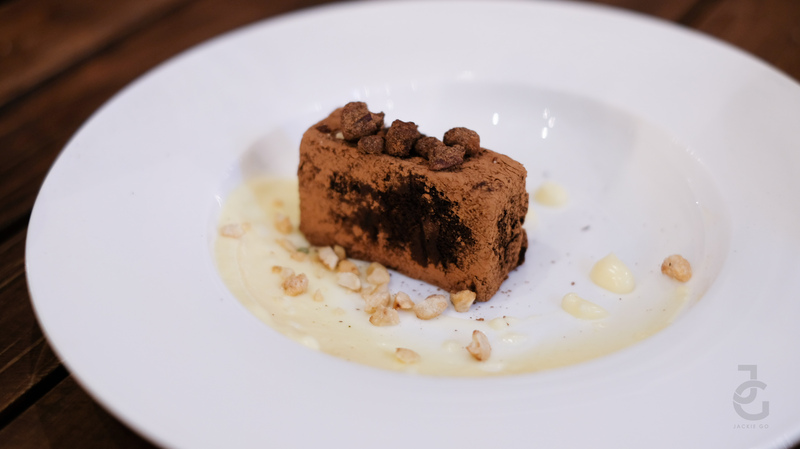 He’s one of the many who isn’t a fan of healthy food but after trying Nonie’s he now thinks not all healthy food are created equal, some are more delicious. 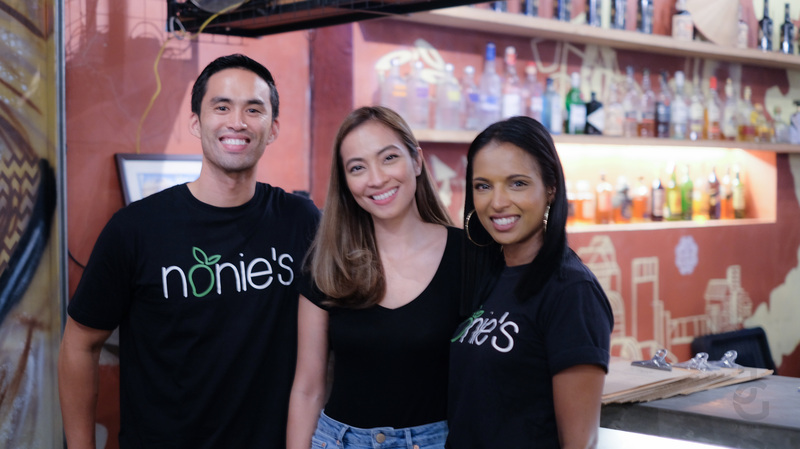 With Patrick and Shria of Nonie’s. 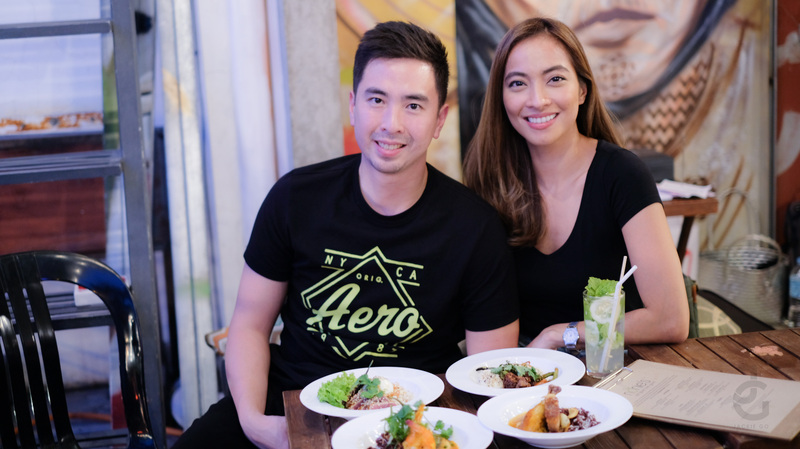 Both are into healthy food & it was Patrick’s mom which inspired him & Shria to open up a restaurant in Boracay with her namesake, Nonie. 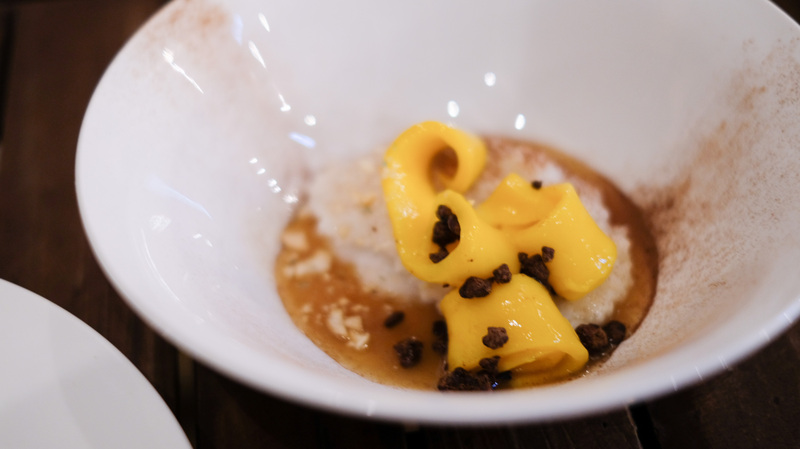 Gone are the days when healthy food is bland & tasteless. 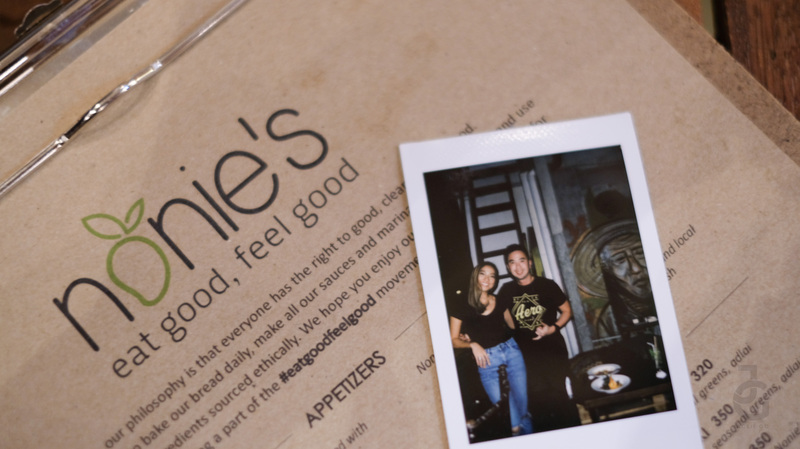 Here’s to supporting more local restaurants like Nonie’s!